The REACH legislation imposes the Registration, Evaluation and Authorisation of CHemicals manufactured, imported or used on the European market. By EcoMundo based in Issy-les-Moulineaux, FRANCE. MARA is a unique, innovative product for use in toxicity testing. It is highly versatile and can cope with a wide range of samples ranging from complex industrial effluents to potable water. By NCIMB Ltd, based in Bucksburn, UNITED KINGDOM. Cooling circuits that use self-cooling towers are subject to multiple issues: scaling, corrosion, biofilm or the development of micro-organisms such as the legionella pneumophila bacteria. 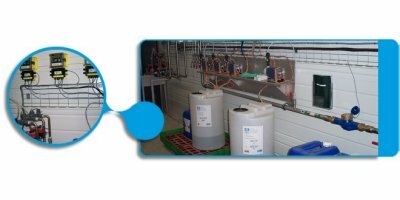 Top-up water treatment by softening, partial or total demineralisation, acidification or chemical treatment may resolve these problems. By Tresch SA based in Villeurbanne, FRANCE. By DrySoTec GmbH based in Essen, GERMANY.